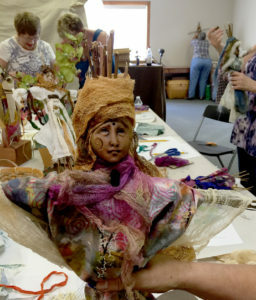 There’s something about a Spirit Doll workshop that gives me goosebumps. I think it’s because in just three hours, a group of willing people trust their creative instincts to combine some sticks and clay and cloth and build the most amazing mysterious little beings. It’s really magical! You’ve seen my Spirit Doll workshop videos before, and every group is special – this one was particularly memorable. It may have been because of the mix of people, several of whom had come from far away and had never been to the Studio before. There was a lot of welcoming and bonding before the three hours was over. So this time, I have two videos to share with you. The first one shows the magic of the group pulling together their Spirit Dolls one by one. And the second one is for YOU. It shows you step-by-step photos of how I made the prototype for yesterday’s workshop just in case you get inspired and want to try this for yourself. I hope you enjoy them both. Ready to make your own? Here are the basics (especially if you’re a visual learner)! Finally, if you want all of the Spirit Doll tips and techniques and variations that I have ever tried, I have a DVD called The Magic of Spirit Dolls from my two-hour Artful Gathering class. Just sayin’ – if you missed the workshop, you can capture the “spirit” of it on video! Just click on the image for the link. End of commercial break – have a happy Labor Day! 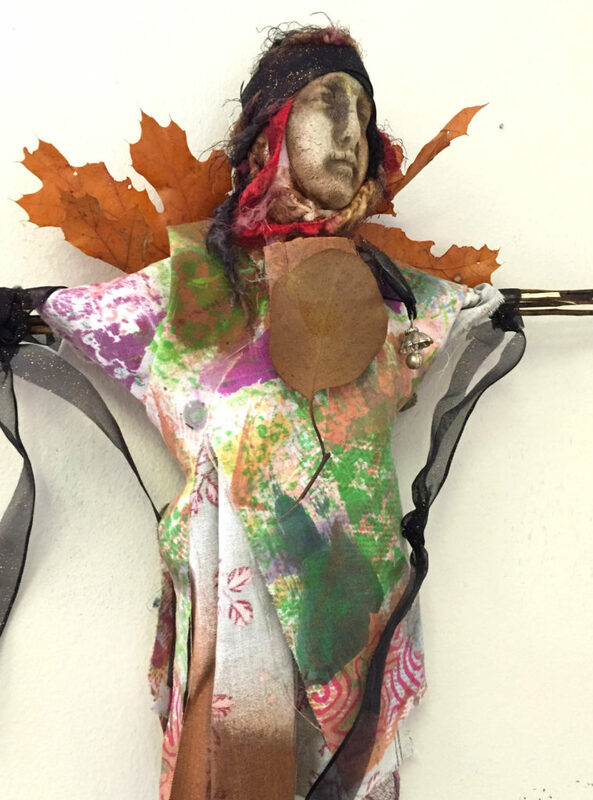 This entry was posted in Artful Gathering, easy project, found objects, How-to, Inspiration, Spirit Dolls, workshops and tagged September by lynbelisle. Bookmark the permalink. Thank you so much, Lyn! You are always so generous to share your creative process.